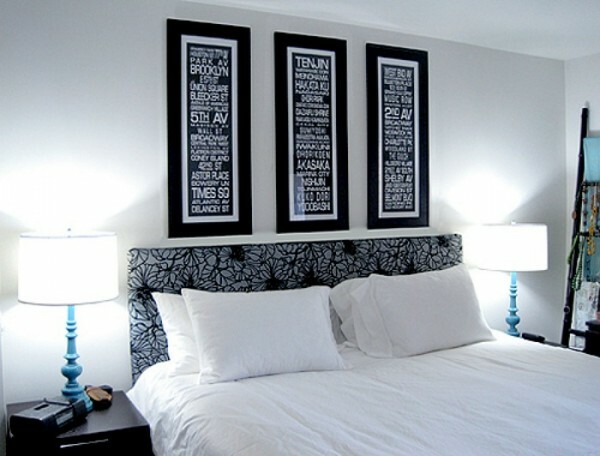 A headboard is a detail that can add to your bedroom décor, highlight it or even contrast with it. 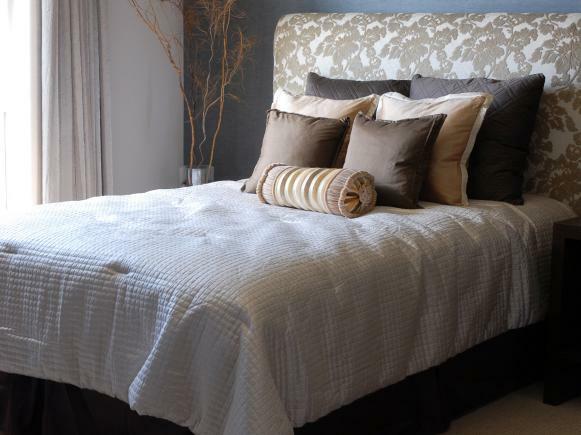 There are lots of types of headboards to try or make: reclaimed wood, forged, upholstered, tufted, patchwork, leather, with storage spaces and lamps and lights attached. 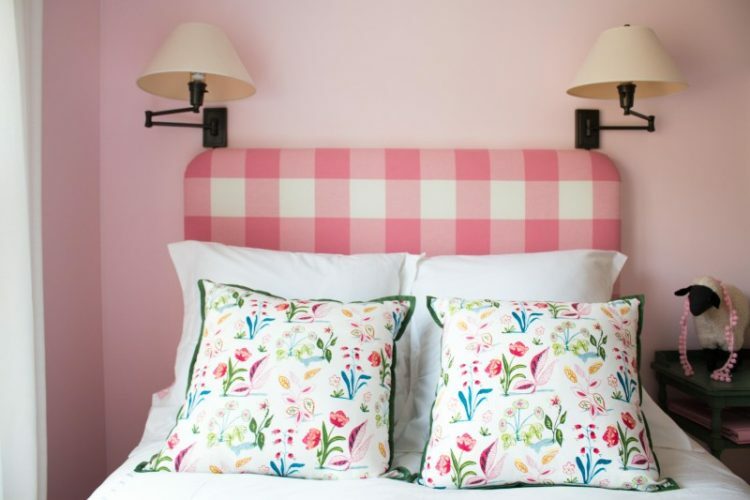 Upholstered headboards are the most popular ones for any bedroom, master and guest, adults’ and kids’, because it’s soft, comfy, easy to make and suits any bedroom interior. 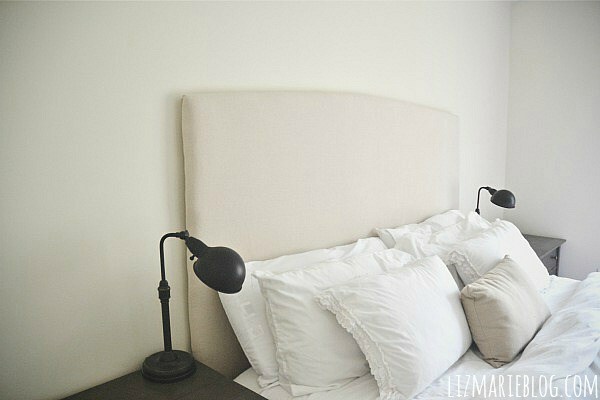 They can be of different shapes and contours, decorative nails add to the look of an upholstered headboard, so you can attach them after you finish the whole headboard. 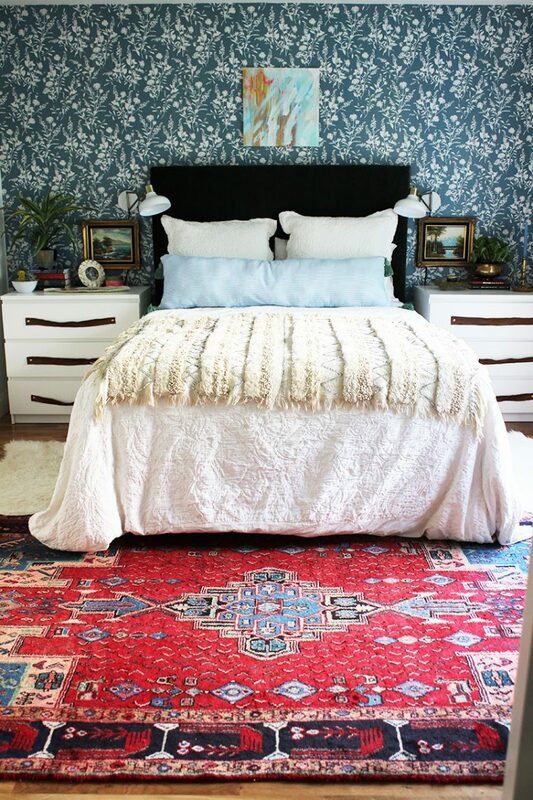 How To Make An Upholstered Headboard? 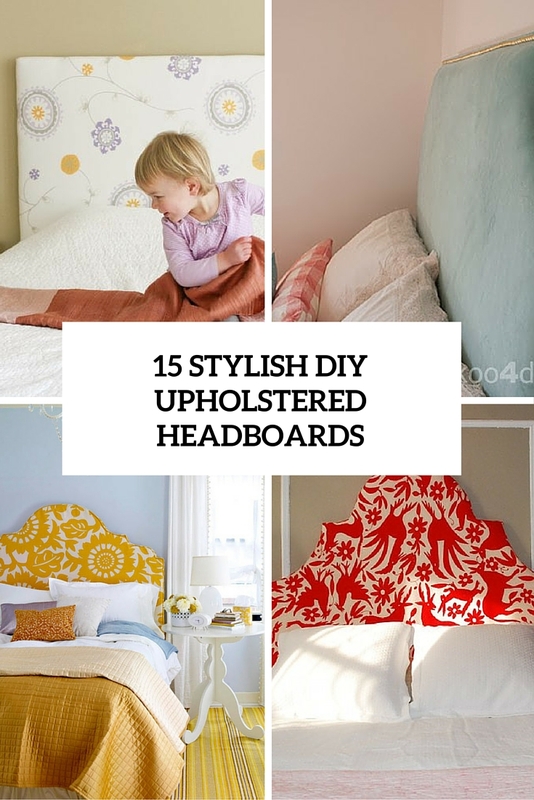 An upholstered headboard is pretty easy to DIY, you can renovate almost any other headboard – a wooden, forged, leather, metal and turn it into an upholstered one. 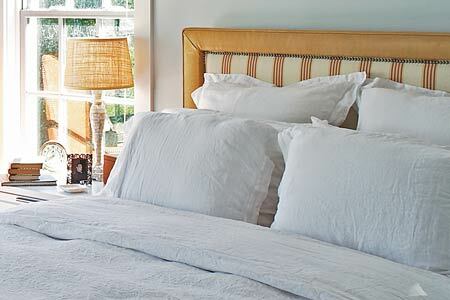 If you don’t have a headboard at all, just take a proper piece of cardboard or wood to use. 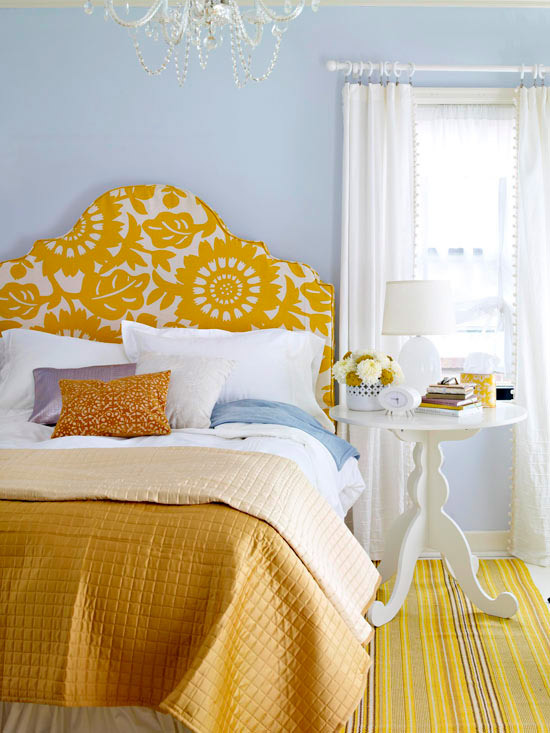 Choose the fabric you like and prepare foam, it’s very important for an upholstered headboard to make it soft and to hide all the imperfections or the shape of the original headboard. 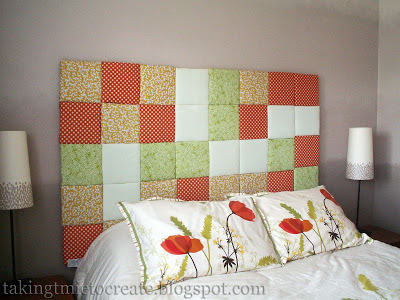 Cut your foam according to the shape of the headboard and using a proper adhesive attach the foam to the headboard. 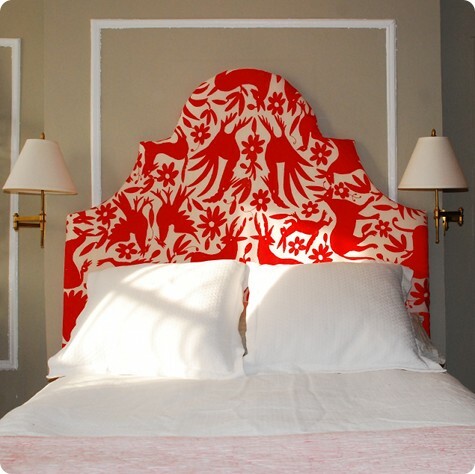 To cover the headboard, cut one headboard shape from decorator fabric and another from muslin, adding 3/4 inch all around for seam allowances. 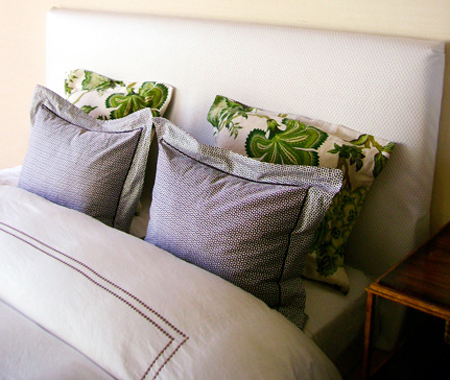 With right sides together and starting at an end, pin the piping to the headboard front fabric. Clip the curves to ease the sewing. 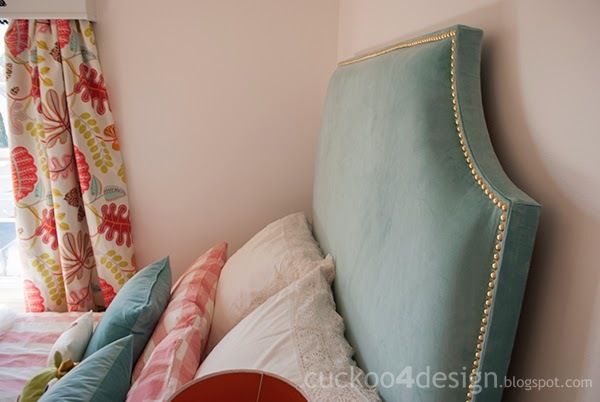 Using 1/2-inch seam allowances, a zipper foot, and easing the piping as you go, sew the piping to the front fabric piece. 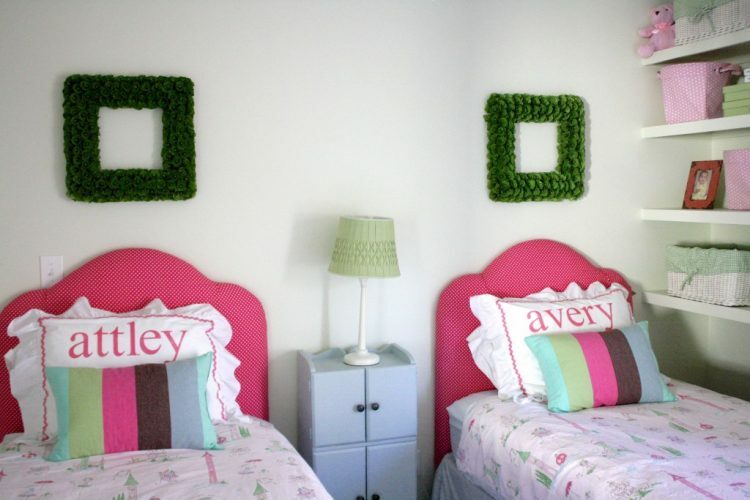 Cut off remaining piping. 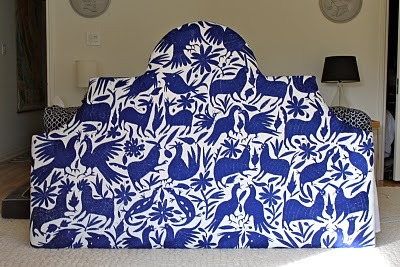 Repeat with the headboard back fabric. 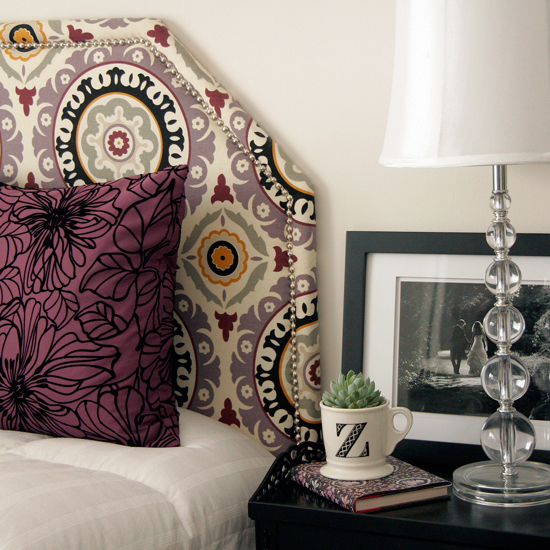 Look at the DIY upholstered headboards below and choose the tutorial you like!